President & CEO, Chicanos Por La Causa, Inc.
Edmundo Hidalgo serves as President and CEO of Chicanos Por La Causa, Inc. (CPLC). 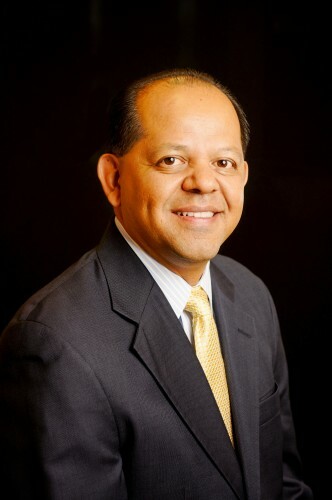 Prior to being appointed President and CEO, Edmundo had served as the agency’s Chief Operations Officer since 1999. CPLC is a statewide community development corporation with more than 40 years of experience serving communities in the areas of Education, Economic Development, Housing and Health and Human Services. Edmundo’s dynamic leadership has led to double-digit growth in each of the past five years and has catapulted the organization into a highly visible advocate for social and economic development, particularly in low-income Latino communities. Edmundo is an active member of several boards and commissions. He is past Chair of the Maricopa Community Colleges Foundation, the Treasurer of Sonoran Bank and a Board member of the CHASE Community Advisory Committee, the Dudley Ventures Advisory Board, the Diamond Back Diversity Council, Greystone CDE, the NMTC Coalition Advisory Board, and the NCRC Board of Directors. He was honored as a 2008 Fellow of the Virginia G. Piper Charitable Trust and a 2005 Minority Small Business Champion of the Year by the U.S. Small Business Administration’s Arizona District Office. He was awarded the 2011 Organization for Nonprofit Executives Innovation Award. Edmundo grew up in the southern Arizona town of San Luis. He earned his B.A. in Economics in 1988 and received his MBA from Arizona State University in 2000. He has been married for 24 years to his wife Rosanna and has two sons, Jonathan and Matthew. Over 530 people attended this tribute dinner on April 25, 2013. The event raised over to $100,000 in scholarship funds to support the Maricopa ACE – Achieving a College Education – Programs, Chicanos Por La Causa (CPLC) matching scholarship fund and the general scholarship fund.